The establishment of Eremophylla plantations and harvesting to produce eremophylla pellets. Working with project partners to analyse possible livestock emission reductions and establish findings and assist with further development. The establishment of Eremophylla plantations and harvesting to produce eremophylla pellets. Eremophila (Emu Bush) is a highly variable perennial species, ranging from a low shrub as wide as 3 metres, to an erect shrub of 2 metres in height. Eremophylla is very drought tolerant species growing in rainfall from 150mm to 600mm across all mainland states. It has a long flowering season, from spring to autumn, with variable tubular flowers and grey to grey green to green foliage. When consumed, foliage of Eremophylla can significantly reduce methangenic emissions from livestock (Cattle). The project will demonstrate Eremophylla establishment and production methods under different environments, specifically for the purpose of foliage harvesting and conversion into feed pellets suitable for supplementing feed demand at intensive livestock operations. The project will test and measure the GHG impact of processed Eremophylla feed blends relative to livestock productivity at a purpose built facility at Gatton University. The vigorous scientific regime being employ will deliver outputs that will directly contribute to robust methodology development. The outcome of the project is a measurable process for Eremophylla production and for the supply of supplementary feedstock to reduce methane emissions. Extension outcomes including a technical case studies and an independent economic assessment of the process will enable farmers to understand the concepts being presented and evaluate the adoption pathways. The extension outcomes will be disseminated through the SANTFA, CFI and CAAANZ networks, resulting in exposure to many thousands of growers. Technical outcomes including replicated livestock trials, scientific GHG measures and productivity measures will ultimately allow for the development of methodologies based on the project activities. Industry development opportunities are many from the growing and harvesting of the plant to the production of the pellets. 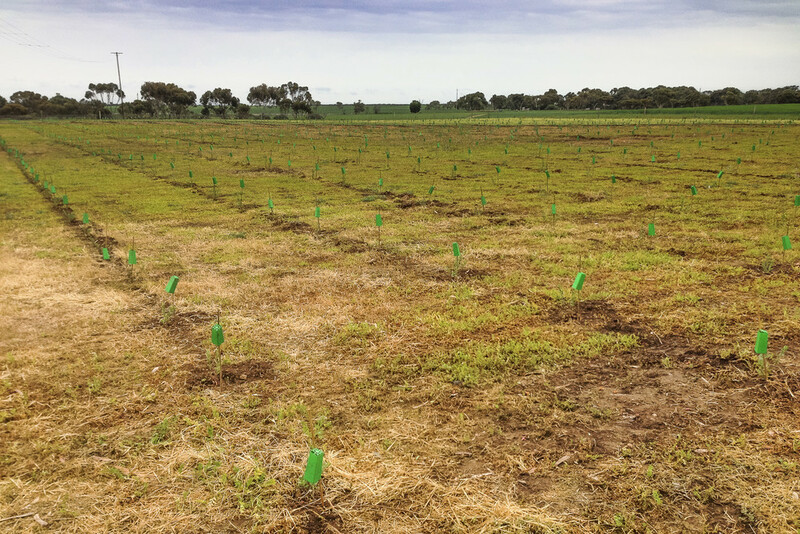 The growing of this native dryland species is complementary to the viticulture industry and may assist economic development in dry environments. Australian Government (DAFF), SANTFA, Environments By Design, Uni QLD (Gatton), Clean Carbon, Conservation Farmers Inc.